Beintehaan is a Muslim Social encompassing a passionate love story of Zain and Aliya. Beintehaa is an Indian television drama show.The show launched on December 30, 2013. It aires on Colors TV. Starring Preetika Rao, Harshad Arora,Naved Aslam,Rituraj Singh. The show is a Muslim-based social background drama. Talented actress Preetika Rao who is all set to make her TV debut with the show Beintehaan on Colors, talks about her background, her excitement for the show and character in the show in conversation with TellyBuzz. B town's gorgeous actress Amrita Rao's sister Preetika Rao who is very well known for her acting skills in southern films is all set to be seen making a debut on TV. She will be seen in Color's show Beintehaan in a lead role. Preetika shares about her journey in the acting industry, her character in the show and much more in conversation with TellyBuzz. When asked about her journey in the acting industry, Preetika says, "I was modeling and simultaneously contributing as a film-journalist to news-dailies like Bangalore Mirror, Deccan Chronicle & Asian Age Mumbai. I also had my Bollywood column with South Side movie magazine in Chennai. I was spotted by a director who saw my Column picture and he offered me a Tamil movie debut which was well received by the film-critics." She further elaborated saying, "After that I quit South cinema for a diploma in broadcast journalism from the prestigious New York film academy. I had announced that once I'm back I am looking forward to work from Mumbai." So what are the offers she has in her kitty? "I have been receiving tele-series offers from almost a year now, but I prioritized my personal time out. 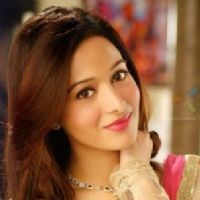 Once I was back, 5 production houses offered me to play the lead for their respective tele-shows - however, Producer Farahan Salaruddin's show Beintehaa for prime time Colors was the one that appealed to me the most," says Preetika. How has been the transformation from Bollywood to TV? Preetika says, "TV is the new ' in ' thing in Bollywood! I'm excited about my TV debut - more so because my relatives follow television more keenly than films." Well talking about her character in the show Beintehaa, Preetika replies, "I play a Muslim girl who hails from Bhopal. She is brought up in a pure Muslim family. The story of the show is set against Muslim marriage laws and the show is scheduled to replace Big Boss." Vivek Madan bags a role in Colors upcoming show Beintehaan! Talented actor Vivek Madan who has been appreciated by the audience for his acting skills not only on TV but also in the Film Talaash was last seen in the popular show Parvarish - Kuch Khatti Kuchh Meethi on Sony TV as the character of Lovely Singh. He is now excited about his character in the upcoming show Beintehaa on Colors. Telling us about his role in the show Beintehaan, Vivek says, "The contract was signed yesterday with the production house. So now it's official. The character is of the main lead's elder brother called Fahaad. It's a Muslim family set up and Fahaad is caught in the crossfire between his two wives. While one of his wive's is hoity toity the other one is rustic." Adding more to it he says, "Also there is a strong dominant mother too, played by Suchitra Pillai. So Fahaad's character gets trapped from all sides and he is persistently trying to escape all these unreasonable demands that his wives make and their complaints all the time! There will also be a light-hearted humor added to the track." When quizzed him about what made him to take up this role, this is what Vivek had to say,"Well, starting out with any new project is exciting. New team, new character portrayal, better payment. (Laughs) I don't want to say that I loved the part so much that I got perky and all. In such an insecure line of work with any job where the pay is good and work is exciting these are enough reasons for taking up this role." As per the news, Vivek was also supposed to be making his appearance in the television show Ek Muthi Aasman on Zee TV so what happened about it? Vivek sheds light on the issue and says, "I was signed for a full - fledged role in Ek Mutthi... but quite a few months have passed since I have signed all the legal documents for them but because there was no response from them I could not wait any longer." TellyBuzz wishes Vivek all the very best for his role and may he keep on experimenting with his roles in future! Soon to be seen in the upcoming show Beintehaan on Colors, Riva talks about what keeps her busy when she is not seen on TV. Riva Bubber who is coming back to Indian Television after 1 years tells us about the show and says, "The show has a Muslim background and my character is that of a mother. I play mother to the main lead Aaliya (Preetika Rao). We are shown to be a close knit family and for us the daughter is the apple of our eyes." Riva who worked with Kyunki Saas Bhi Kabhi Bahu Thi continuously for seven and half years likes to take a break once in a while and says, "In the crazy schedules that we actors work in we need to take time out for ourselves as well and do things we enjoy apart from acting. I like to spend time with my family when I am free." For Riva free time also means indulging in her favorite pastime which is traveling. She has travelled all around the world, "Istanbul, London, North East, Rajasthan, Austria, Central Europe, I have seen it all and enjoyed going to these locations." There is a business side to Riva as well who had started a dog parlor long back when this concept was not known to many, "I think I had started it much before time... it was a niche market then but now everyone is into it and there is nothing special about it anymore." Her business leanings are still very much obvious as Riva now is into baking. Elaborating more on how she got into it Riva says, "I have always had an interest in cooking so I did a couple of courses in Mumbai and then I did a short stint of baking course in New York. I also read a lot, researched through the net, got info and recipes and then decided to start and things were set after a lot of trial and error. I operate from home since that gives me flexibility to work and I also don't want to take a place on rent and then worry about the monthly outstandings. I am thankful to my family and friends who are my guinea pigs on whom I experiment my cooking skills," laughs Riva. Riva is still single and happy too as she tells us, "I have still not found my Mr. Right and I don't mind staying single since I am happy to be blessed with a great circle of friends and of course my family who is always there for me. I believe in destiny and that it will happen when it is meant to be and then it will be blissful. However, I have also seen couple of my friends divorced and it is scary." However, that does not mean that she wants to immerse herself in work, instead she has become more choosy, "I am satisfied with the way my career has shaped up even if it means just being seen on Television. For me quality has always been a priority over quantity." 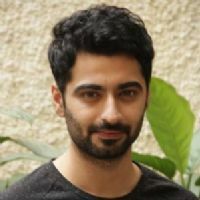 New TV show 'Beintehaan', a love story of two headstrong people and set against the Muslim milieu in the locales of Bhopal, makes for a good package with great production values and entertaining content, says its lead actor Harshad Arora. "We have shot it like a film. We have shot at locations in Bhopal, the characterization is very good and the content is better as compared to other shows," Harshad said at the show's official launch here on Thursday. "I don't think such content has come on television...I think everything combined together makes a very good package," he added. The story may be about Muslim families, but the use of the Urdu language is minimal in the show. "My character is very modern, and there is not much use of the Urdu language. It is a mix of English, Hindi and Urdu. But still I did some research and watch some Pakistani shows (to prepare for my role)," Harshad said. 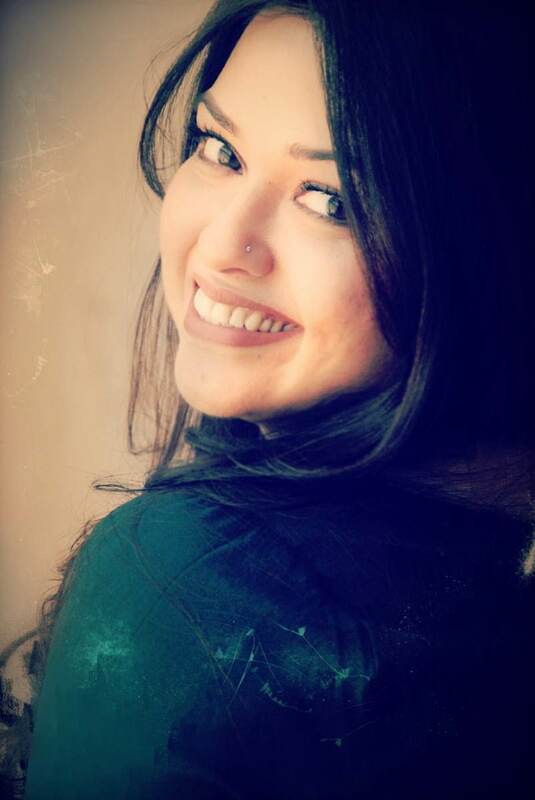 Preetika Rao, who is the sister of Bollywood actress Amrita Rao and plays Aaliya in 'Beintehaan', says the show caters to a wide audience and so, the use of Urdu has been kept to bare minimum. "The show is for the entire Indian audience so we can't have much of Urdu. But yes, a few Urdu words will be used here and there," Preetika said. Harshad said that 'Beintehaan' will "see both love and hate". 'Beintehaan' goes on air Monday on Colors. "I loved the story and that's why I immediately said a 'Yes' for Beintehaan"
The pretty and talented actress, Preetika Rao who successfully made her debut in South movies is now all set to make a mark in television with her debut on Colors' prime time much awaited show Beintehaan. We spoke to the actress, to know more about her character, her journey in the industry, difficulties faced during the shooting for the show and much more in conversation with TellyBuzz. I always wanted to become a model and by the grace of God, it fulfilled and I got to do so many ads. I even got to do an ad with Amitabhji (Amitabh Bachchan). I never thought to become an actor but I think destiny had its own plans to make me an actor but Amrita Rao was passionate about acting. Did your sister Amrita Rao inspire you? I have grown up watching her career. She has inspired me but she is a much better actor and her passion for cinema is far better than me. I have been deviating myself towards a lot of other things like modeling, journalism, movies but she has always been focused. She is not very familiar with the television industry although she has been on television as a judge. Just from her career, I have learned a lot about this industry which is similar. Television is tougher. We have to work here for hours getting deprived from sleep because the telecast is just a week away. Amrita has always been creative since her childhood. When she became an actress, she hardly used to be at home and I used to wait for her to come back home so that I could spend some time with her. How did Beintehaan happen to you? I had taken a break from South movies and gone to US. When I came back, there was an influx of television in my way so I thought why not! Television industry has become very glamorous and every Bollywood actor wants to come on television to do something. I auditioned when I was getting the offers and I was selected for four shows. Beintehaan happened at a time when everything was set up perfectly. It is a prime time show for Colors and I loved the story and that's why I immediately said a yes' for it. Tell us something about your character? I am playing Alia who hails from Bhopal. She is today's Muslim girl. She is a bit tomboyish. Alia and Zain are cousins and they don't get along since childhood but situations happen such that she ends up marrying him. The drama unfolds then and that's the story of Beintehaan. What kind of preparations you have done to get yourself involved into the character of Alia? I didn't do any preparations as such but co-incidentally, I used to follow Pakistani shows a lot on YouTube and I love them because some of them are really very interesting to watch and their Urdu is much better. When I was offered Beintehaan I was very happy because Indian television is quite apprehensive of the Muslim shows; it's ruled by Gujarati and Rajasthani soaps. When I first heard the story of Beintehaan, the first thing which I told Farhaan was that the best part of the show is that it has a Muslim background. Any difficulties or challenges you have faced? On the first day of my shoot, I had to ride a bi-cycle in traffic. I had to shoot the scene in the broad day light. I had to do many rounds with it and I even fell off from it. Timings are really tough to manage. In Bhopal, we have worked for 24 hours and I have hardly got time to sleep. How was your life as a journalist? I used to write gossips while I was working as a journalist for Bangalore Mirror. I really enjoyed my life as a journalist because I used to meet so many people and interview them. It was a tough job because writing an article is an art which can't be written suddenly. How is it working with Harshad? Initially, Harshad and I were chosen for another show and I had already auditioned with him so when I signed Beintehaan, and I got to know that Harshad is being paired opposite me at that time I was stunned to know about the same. Probably we were destined to be paired together. We have a good working rapport together. How is the reaction of your family? They simply love the promos of the show and are very excited to see the hoardings outside. They are eagerly waiting for the show to begin. Daily soaps are something which everyone is glued to. My Mom is also addicted to some of the TV shows. So, she is very happy to see me debuting in Colors. Any plans to get into Bollywood? I could have gone into Bollywood but in an interview, I have told one journalist that it wasn't that I was chosen to debut in South movies; South chose me. The same has happened here I was chosen by television which is a call of destiny. There are some decisions in life which couldn't really be planned by you, it all just happens. We wish Preetika all the very best for her debut show Beintehaan!